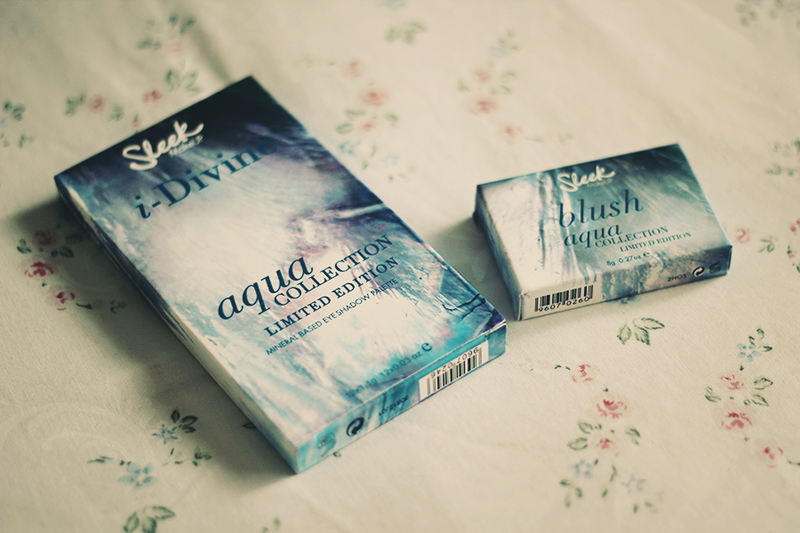 The first palette of 2013 from Sleek, hot off the heels of the Sparkle 2 palette at Christmas and the edition of felt tip eyeliners and addition of more lipstick shades, we now have the Aqua collection. 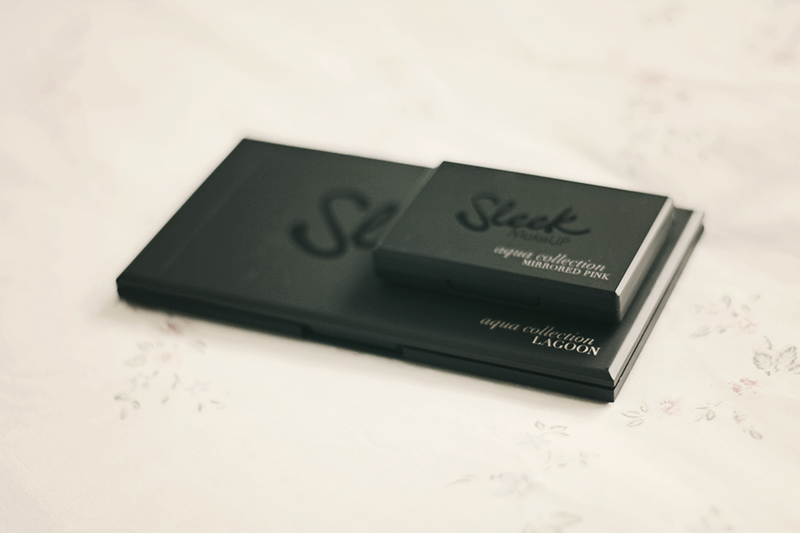 Ready for Srping, Sleek are releasing the Lagoon i-Divine palette, Mirrored Pink Blush and Deep Waves Nail Set. The inspiration is of course the sea, mermaids, tropical and mythical beings. Mirrored Pink Blush, this shimmery but silky fine pink that is aimed to suit all skin tones. I think it would be so beautiful on a golden look, oh I'm seeing it all in my mind. 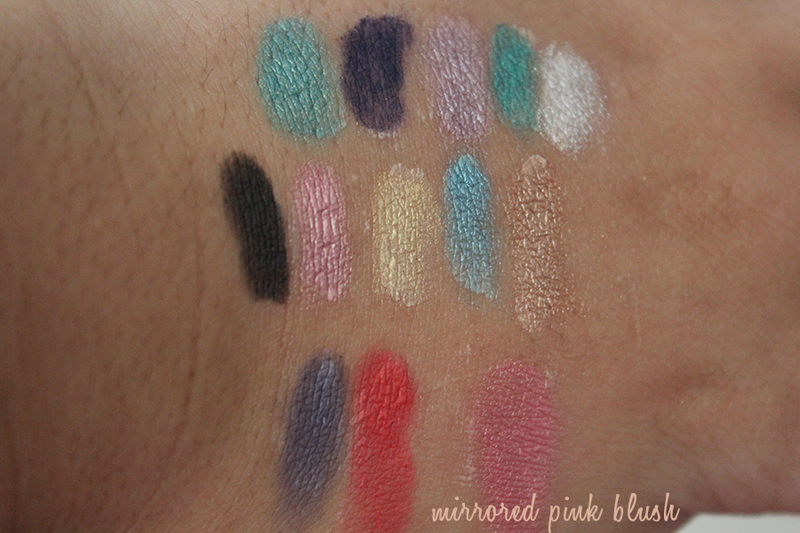 Highly pigmented as always and will give a lustrous shine to skin. Onto the swatches. There's some nice high shine, shimmery colours. Black Pearl is a smokey pearlescent finish, so it's not pure black. Even the matte coral named ARIEL! My favourite, got my favourite Disney character. Sand Dollar a shimmery shell shade, Emerald sea green and Sassea is a beautiful aquatic blue. 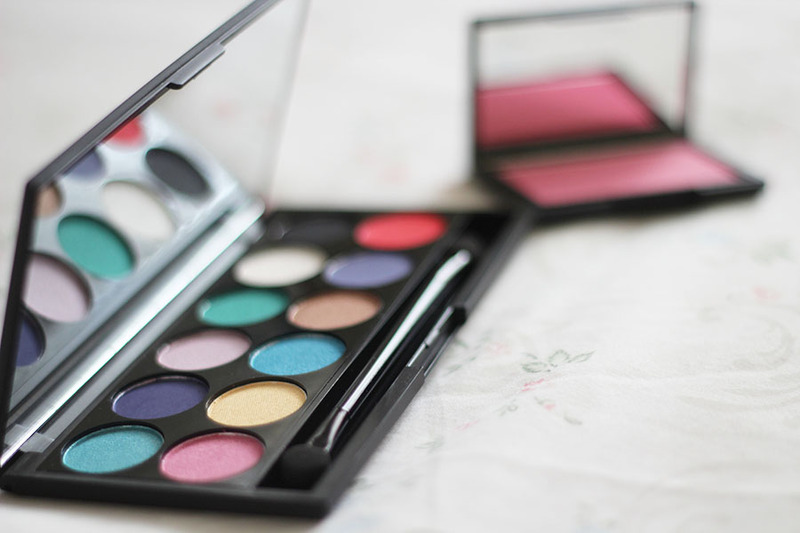 i love that pallete, might nip out and get it today. The colours are truly gorgeous, brightens up some of these grey days. Agreed. Need to test them out in a look asap! 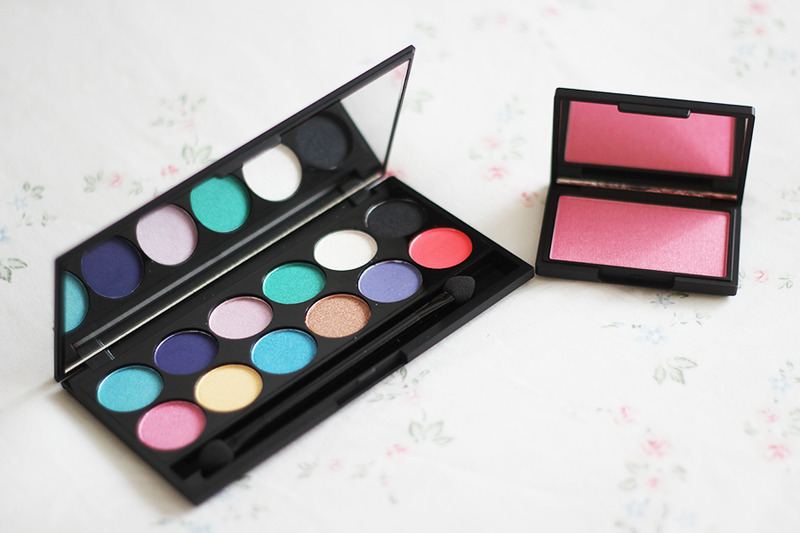 Pretty colours, I've been a bit lax in collecting the Sleek palettes lately, need to sort this out! I'm missing some from the first batch that were released. Like Original and Jewel, sure there's another one. I'm interested in the blush. It looks gorgeous. and for the cost you can never go wrong. Even though the texture of the shadows changed over a while. The pigmentation is there.